The domestic legislation that has been introduced to fulfill international treaties is useless. It completely fails to satisfy what is expected from CITES efforts to reduce consumer demand through legal restrictions and to eliminate the illegal international wildlife trade. 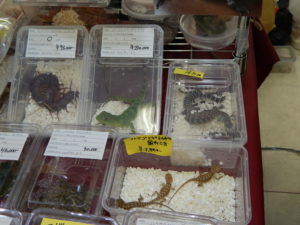 In Japan, there are online pet stores where photos of numerous exotic species can be found. (The law requires that actual purchases are made in person.) There are no restrictions on domestic trading of Appendix II species. Further, even Appendix I species can be traded as long as they the individuals are registered with the Japan Wildlife Research Center before photos are posted on the website. Moreover, even though the capture and export of listed species may be prohibited in their native countries, their import to Japan is legal. 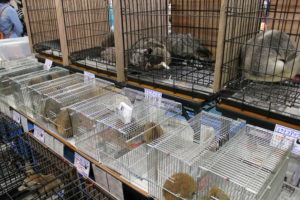 This loophole in Japanese legislation is a serious problem with the pet trade. At the CITES meeting CoP17, delegates adopted a resolution recommending the worldwide closure of domestic elephant ivory markets (Conf. 10.10 (Rev. CoP17)). However, the Japanese government’s subsequent revision of the Act on Conservation of Endangered Species of Wild Fauna and Flora did not strengthen the regulations for registration and management of ivory dealers. Neither did the government change its position on the Promotion of Appropriate Ivory Trade Measures. 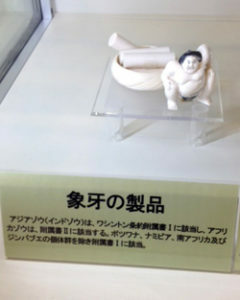 One action that can be taken before the next revision of the Act on Conservation of Endangered Species of Wild Fauna and Flora is to reduce the demand for ivory in Japan. 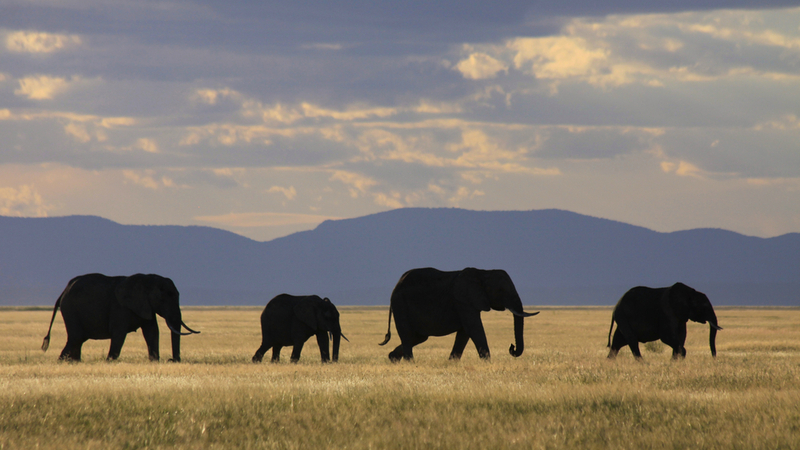 Some good news are that Rakuten, one of Japan’s largest online retailers and Aeon, one of Japan’s largest retail companies announced an end to ivory sales. Japan has entered reservations on certain listed whales, pelagic sharks and seahorses. JWCS believes that the implementation of CITES requires that these reservations be withdrawn. Japan has entered reservations on ten listed whale species in Appendix I and nine [shark] species in Appendix II. Regarding the above ten species of whale in Appendix I, we conclude, based on objective reasons, that there are sufficient resources for sustainable use, while there is no scientific evidence to justify the current listing in Appendix I, and hence foresee no withdrawal of the reservation unless the situation changes. The other listed species were included in the reservation by Japan because there is insufficient scientific evidence to show that these species are threatened, while the resources should be appropriately managed by the regional fisheries agencies. However, there are some objections. 3) The demand for seahorses in Japan is as pets, but the registration of dealers for fish kept as pets is not covered by the Act on Welfare and Management of Animals. A number of seahorse species are on the IUCN Red List, but there is no legislation to protect them in Japan.